Grinding spices as part of food prep is having a very long moment—although its been part of many food cultures for centuries. Not so hard to figure out spicy, hot, or savory combinations–but finding a mild, sweet, warm flavorful blend was a challenge. And then along came Bokharat! 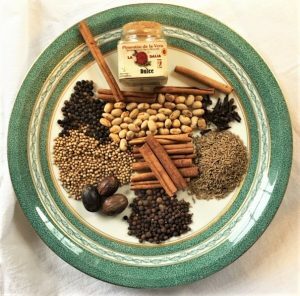 Used extensively as an all-purpose spice in Mid-Eastern cooking, almost like salt and pepper, its basic spice combination can be adjusted to personal taste. Usually considered a savory blend, as a rub or olive oil-based marinade before cooking meat or chicken, the warm blend can be adaptable. A spice mill or grinder makes for easy prep, but a mortar and pestle are traditional. This version has 8 spices—different food cultures mix and match for traditional flavors. 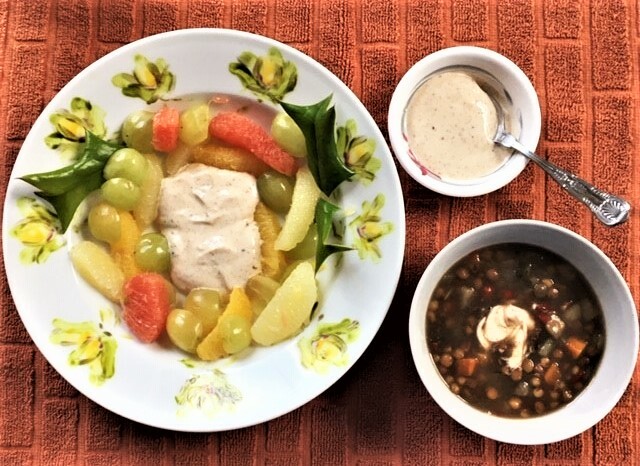 Here’s an easy, flavorful Bokharat sauce/dip that works for the last bowl of winter’s lentil soup and spring’s first fruit salad.